Birch rollin’ into the weekend like…. He looks so much younger there at just one month old! He’s closing in on 3 months and definitely not a newborn anymore! We’re also back to 4/5 hour stretches after doing those 7,8,9 hour nights. Bummer, I had a feeling it wouldn’t last, but getting up to nurse just once is still pretty good. I am definitely more well rested now than I was at this point with baby Mazen. 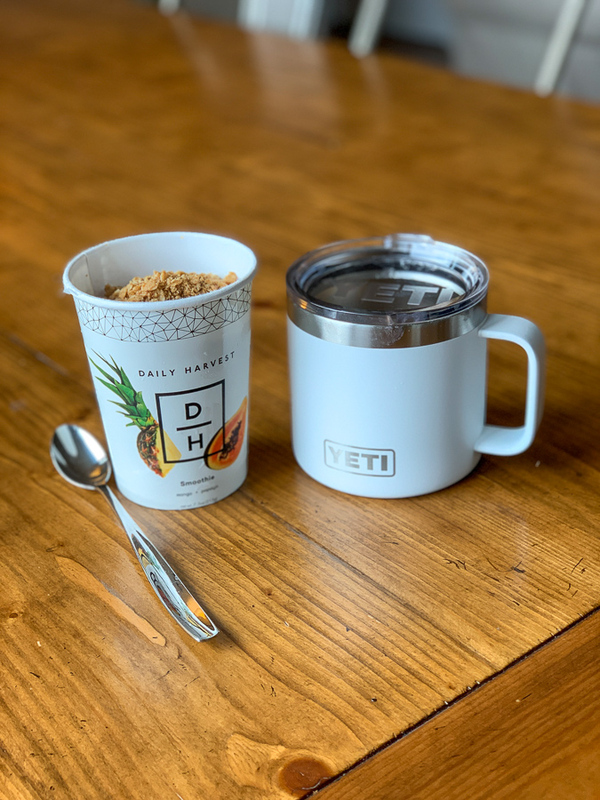 Daily Harvest invited me to be one of their Tastemakers, and I have a little welcome page with my top smoothie favorites here. You can always get free smoothies on your first order through any referral link. I recently tried the mango papaya one and was transported to the tropics. Plus granola on top! I am still loving ordering lunch staples from Plenty. 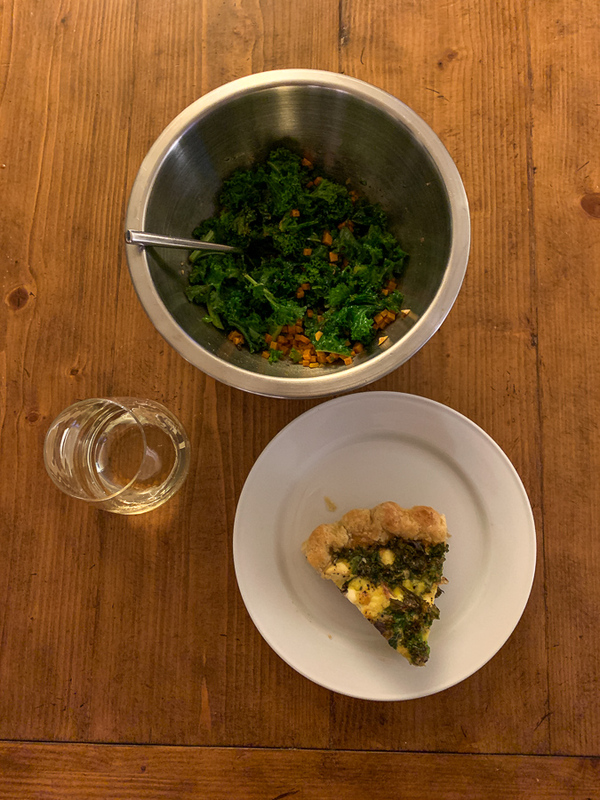 This week I had kale salad and quiche on hand (and last week the wild mushroom soup was incredible!) Della’s quiche crusts are the BEST! 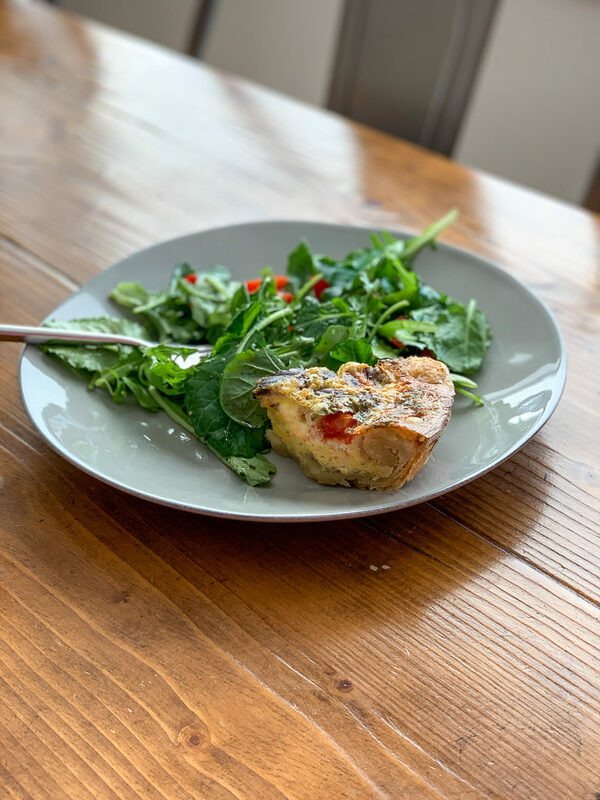 I’ve been ordering a half quiche and that will get me two lunches and a dinner (usually on a soccer night when T and I eat casually). Thomas and I pull Butcher Box items from the freezer when we’re not eating Plenty. He hot-smoked some salmon from Butcher Box (they have wild salmon now! Get it free here) on the Big Green Egg recently and it was delish. 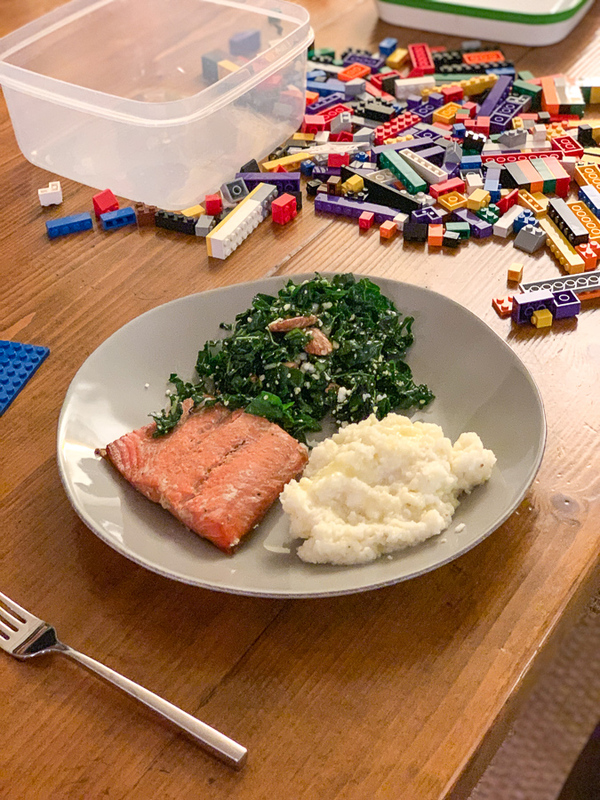 Plus Quaker Grits with shredded cheese and a homemade kale salad with lacinato kale, goat cheese, honey mustard dressing, and candied pecans. 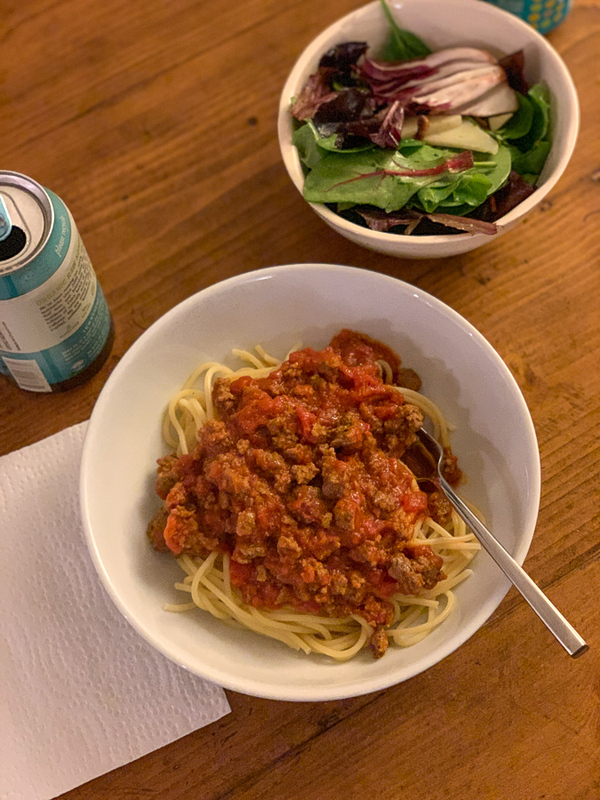 Mazen’s favorite: spaghetti with meat sauce (Grass-fed ground beef from Butcher Box). We use jarred sauce as a short cut and often pick more small-brand kinds from Whole Foods. 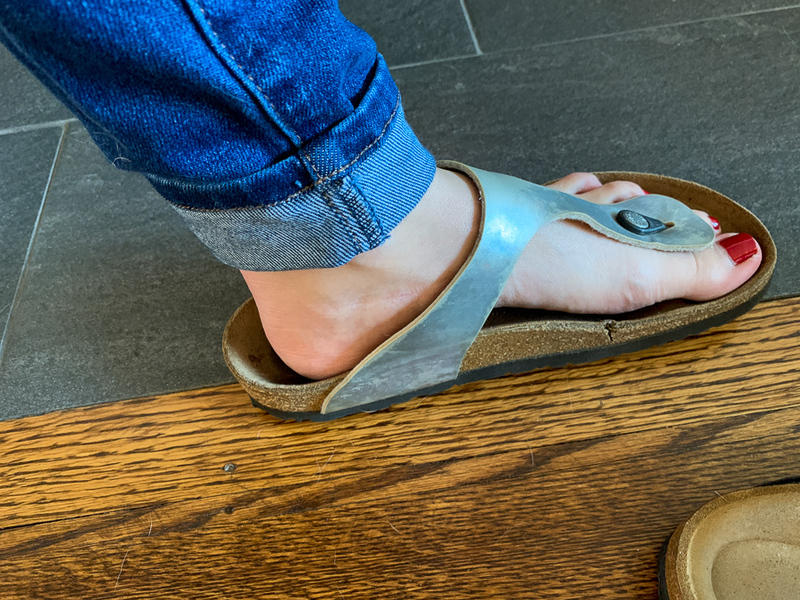 Since we’re in the middle of boot season, I have a sandal update for you! I’ve had my Mirror Birkenstock Gizehs for a while now and they were starting to look really rough. The “mirror” effect was gone and cloudy (and cleaning them did not help), the sole was cracking (repairing would have cost too much), and to be honest I think they were always a little too big for me! (A size 39, which is an 8 – 8.5, I am an 8). SUPER comfortable though, so I knew I wanted a new pair at some point. I wanted to get black which looked a little dressier in my opinion and to try the next size down. 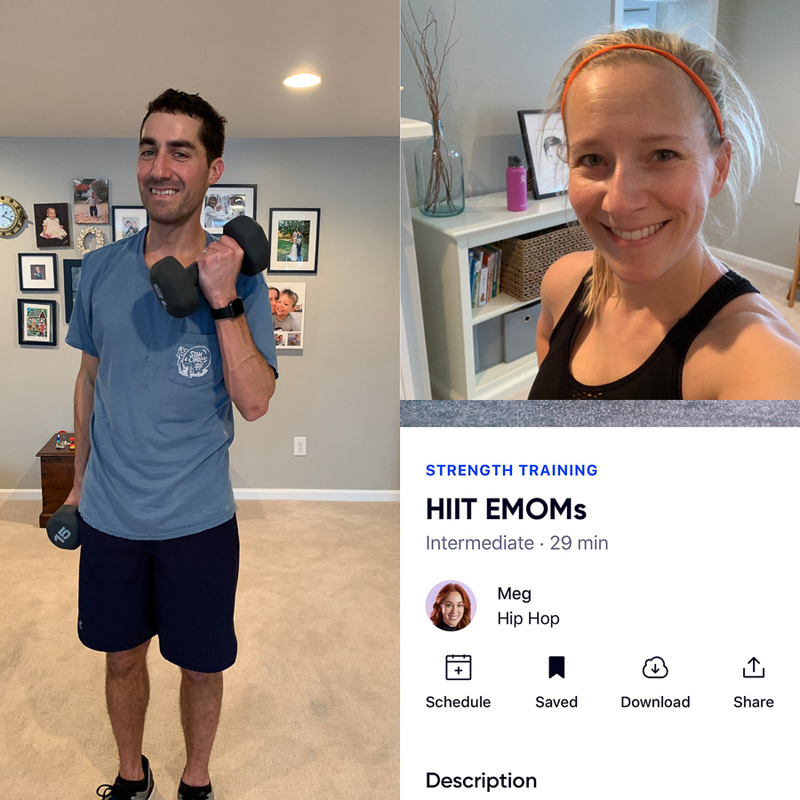 Sun: Couples HIIT + strength workout with Thomas! 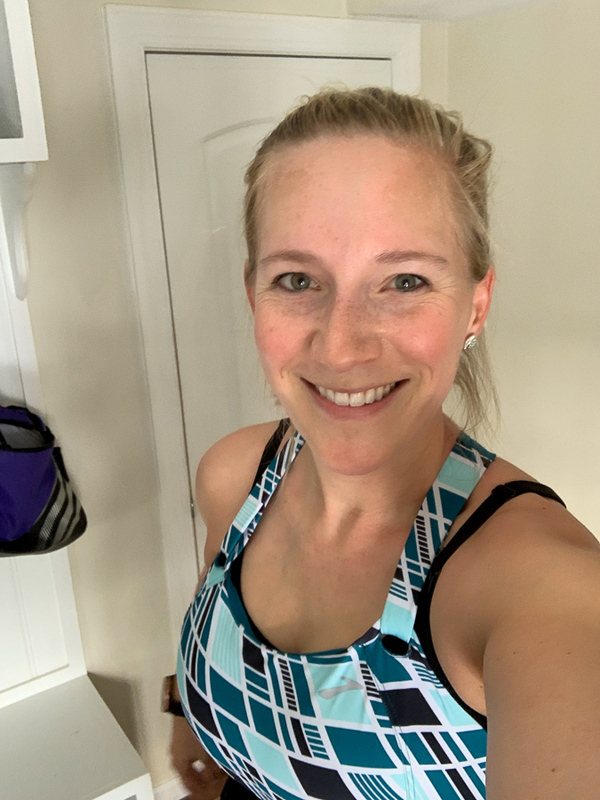 Tues: Gym session at 4pm while T’s mom babysat Birch. I did the sauna, 10 minutes on the Stairmaster, and a bunch of laps “walk one, run one” style with two friends. I’m on to season 5 of Southern Charm. It’s such a good breastfeeding show! There are so many crazy things happening. The show isn’t scripted……right? Did you know they were researching a Southern Charm for Charlottesville? I had a few friends meet with producers, but I think the show fell through. (This was over a year ago). It sure would have been crazy to have in our town, but I think it would also be fun. Finally, Thomas and I finished the Dirty John TV show. If you haven’t listened to the podcast, do that first. And then watch the show (on Bravo). It was SO GOOD! With those two shows at the top of my list, I haven’t started watching the Bachelor. I’m feeling very luke warm about Colton. But maybe I’ll start that when I finish Southern Charm and just skip all the dumb first episodes full of drama and group dates. I also still have 3-4 old seasons of Survivor to watch, so that might take priority! That definitely is a beautiful quote! 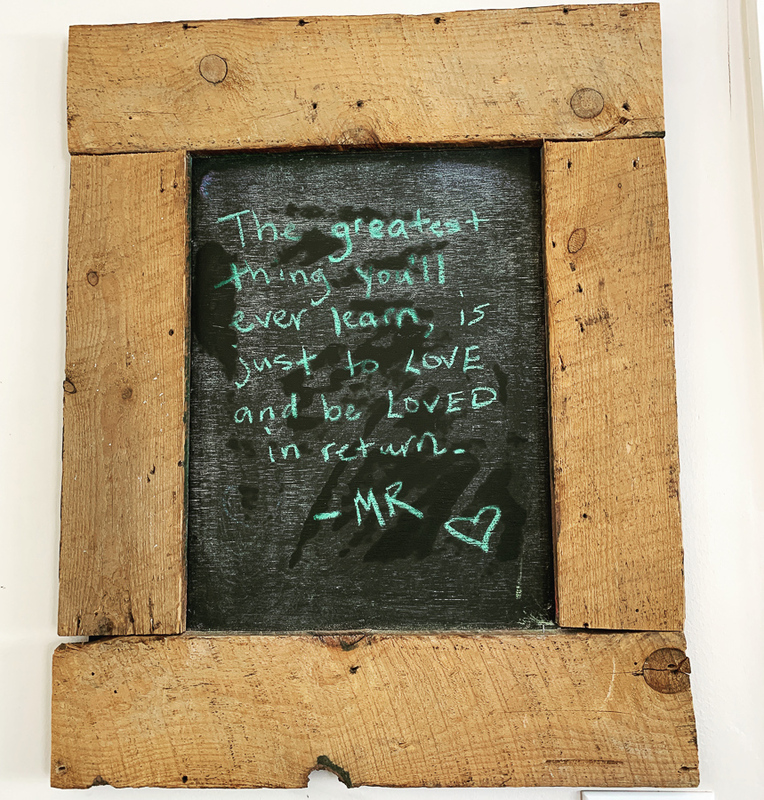 Thank you so much for sharing; it definitely helps start my Friday on a more positive note! 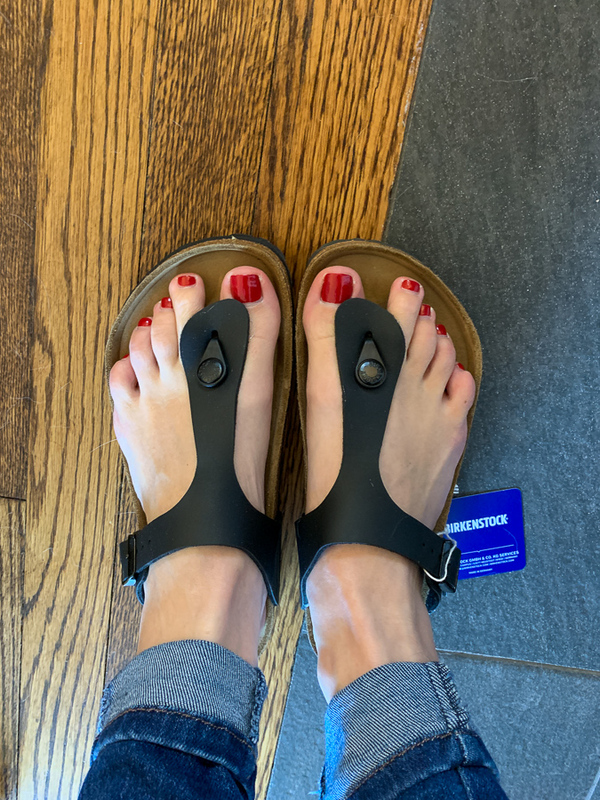 I have 3 pairs of Birks and those are still my all time favs – they are just so comfy!! Sometimes I wear them around the house as “slippers” ha. I binge-watched Dirty John last night while my husband was out of town. Got through 4 episodes. It is addictive — can’t wait to finish the rest this weekend! I have a friend who is having jaw surgery in a couple of weeks. Would the Daily Harvest smoothies be a good option? Are they fairly smooth or really chunky? Thanks! Yes, that would be a perfect gift! And I think jaw surgery sounds like one of the worst kinds – I hope she hangs in there. Recently finished my first Kristin Higgins book which I enjoyed. Will add the one you are reading to my list. I have Michelle’s book on my nightstand to start next. Read Becoming! Just finished it. Loved it. I love her even more now…if that’s possible! I love birks. Got my first pair 2 years ago. Same style as yours! I have two pair now. Once you break em in they are perfect. I tried the tahini and brussels and thought it was great! Perfect for those times when you have nothing fresh in the fridge. Super cute sandals! Have you ever had an issue with them making a strange noise when you walk? I bought a similar pair (different brand) last summer and when I walked in them they made this loud kind or offensive noise. ? I read that it happens to a lot of people. Unfortunately, I had to return them but would love to try them again minus the noise. I’m just wondering if there is something I should do to the sandal before wearing to prevent that. Hi Kath, I find it really motivating when you share your exercise for the week. Even more so when it includes ‘at home’ workouts as That is what I’m usually restricted to! Do you think you could make this a regular feature? Only ten days late— playing a little blog reading catch up— but I definitely recommend Michelle Obama’s book. My book club read it this month, and it was a huge hit with everyone. The audible version is also amazing since you hear her story in her voice. 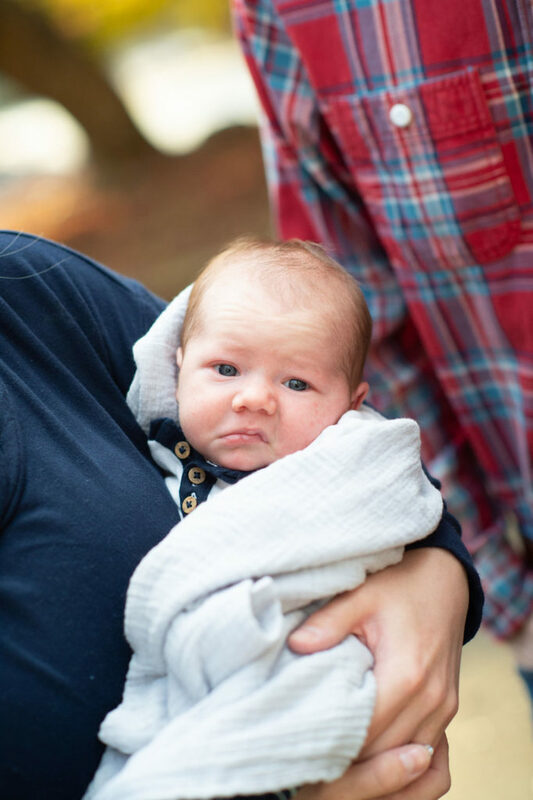 Also the first picture of baby Birch is adorable.